Turning Point Farms success is centered upon the concept of an individualized training regimen for each horse and rider. No detail is overlooked and no steps are skipped. 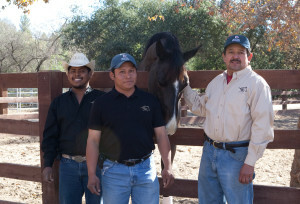 We also believe in fostering partnerships between horse and rider. Turning Point Farms riders consistently place well at local shows as well as A-rated competitions throughout the West Coast. Our trainers will tailor a program to help you achieve your goals. 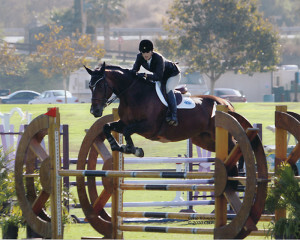 Theresa Petyo-Wallace began riding at a very early age. Her love, respect and understanding for horses was apparent from the start. During high school and college Theresa worked for accomplished trainers. She even spent some of this time working for a western trainer where she learned extensively about starting young horses. After completing college, where she studied agriculture business and veterinary science, Theresa decided to open her own training business; thus began Turning Point Farms. Theresa has trained and developed many accomplished riders and has started numerous young horses for top professionals in the business. Her work ethic is undeniable, as is her love for horses, teaching and riding. Amanda Swendseid joined the Turning Point Farms family in 2007. A long time O.C. resident with a successful riding career, Amanda studied Psychology at California State University, Fullerton. Her psychology studies have proven to be very useful in her career. Amanda fulfilled her life-long dream of becoming a riding instructor and trainer in 1998. As a child she spent time showing in all three rings. Her love of horses developed early as a result of working along side her grandfather breeding and raising endurance horses. She takes pride in staying current on the latest industry standards including the horse’s overall management from veterinary care to nutrition. For the last 15 years, Amanda has committed to serving as a Board Member and volunteer her time for local equestrian organizations. Our clients enjoy the flexibility of full or partial training. A specific program is developed for each individual rider based on their and their horses’ goals and needs. All lessons are small groups focused on developing rider skills and overall horsemanship. Full and partial grooming is also available. If you do not own your own horse, you can purchase lessons on our school horses. 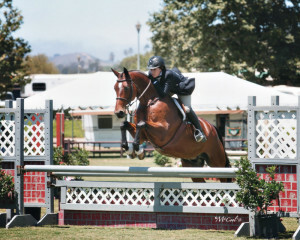 Lessons, depending on the student’s riding ability, will last between 40 – 60 minutes for riders ages 6 and up. 30 minutes lessons are available for younger children ages 5 and under, speak to an instructor for details. We teach students who have never ridden before as well as students who have had extensive past experience. All clients also learn how to care for their horses both before and after their lesson in order to develop their overall horsemanship. *Appropriate footwear is required, boots/shoes with a slight heel. Prior to your first ride, please download, fill out and return the New Client Form and Release (click here). Please call one of our trainers to discuss tailoring a program just for you.